The use of Lithium-ion (Li-ion) batteries to provide back-up power for UPS systems is currently a hot topic of conversation. this article, we aim to address some of the misconceptions surrounding Li-ion and by putting the record straight, explaining why Li-ion may well be the battery technology of the future for many years to come. Li-ion has a number of advantages over the lead-acid batteries that have been used for many years, namely: they are smaller, lighter, high power density, have a longer life and operate at higher temperatures. However, one of the main reasons Li-ion has not been introduced across the UPS sector just yet is cost. However, over the past decade improvements in technology and decreasing costs driven by the automotive industry now mean Li-ion batteries can provide a competitive price alternative to Lead Acid. The initial CAPEX cost of buying Li-ion compared with Lead Acid batteries, dependant on the project, is currently being calculated at around double the cost. However, Li-ion lasts twice as long and so considerations relating to total cost of ownership (TCO) have now started outweighing concerns about the initial investment. In a necessarily risk-adverse industry such as the UPS sector, safety concerns have also slowed the introduction of Li-ion. There have been some publicised stories about the fire risk of Li-ion technology over the years. However, any technology which is not managed correctly is potentially hazardous. This is why proper procedures need to be followed to ensure the batteries are managed correctly. Li-ion batteries are more sensitive to how they are charged and discharged and therefore need to be linked to a monitoring and control device. Such a system should provide early warning alarms ahead of any issues and automatically shuts down faulty cells if necessary. With Lead Acid, you may only know there is a battery problem when you need to use it and if it doesn’t work, then it’s too late! In addition, the more modern Li-ion batteries have been developed with a ‘belt and braces’ approach and can include numerous further safety features such as: steel containers, internal separators that melt at high temperatures to shutdown conductivity, a set up where the current collects from opposite end of its pack ensuring there are no hotspots at high current density areas and improvements to cathode material which is more stable during overcharge. Every battery, including Lead-acid batteries, are a potential hazard but managed correctly, Li-ion technology has now been developed to be safe to use in Data Centres and other facilities requiring critical power protection. Only a handful of UPS systems are set up to manage Li-ion batteries properly. Not all systems are Li-ion ready but moving forwards, they need to be. If correctly configured Li-ion offers a number of advantages. Size is important! Li-ion batteries typically require less than half the physical space of the equivalent Lead Acid blocks and less than 25% of the weight. Commonly, above ground-floor installations can require structural strengthening of the building simply to house the required battery systems. Logistically, moving many tonnes of equipment in and out of an upstairs comms room, when batteries need replacing, can also present challenges. For data-centres looking to increase their power density within the same footprint, Li-ion promises a practical solution. A further benefit of Li-ion is length of life. Ten-year design life Lead Acid batteries are normally replaced every seven or eight years. With Li-ion this is 13-15 years. This reduces the TCO of the batteries. Li-ion also offers some advantages when it comes to the overall efficiency of the comms room. This is because Li-ion can work at a higher temperature than Lead-acid batteries, therefore less cooling is needed and the amount of overall energy consumed can be reduced. Most IT systems work at >25°C and the UPS technology itself can work well up to 40°C. By contrast: an industry standard estimate is that for every 10 degrees above 20°C the operating life of a VRLA battery is halved. 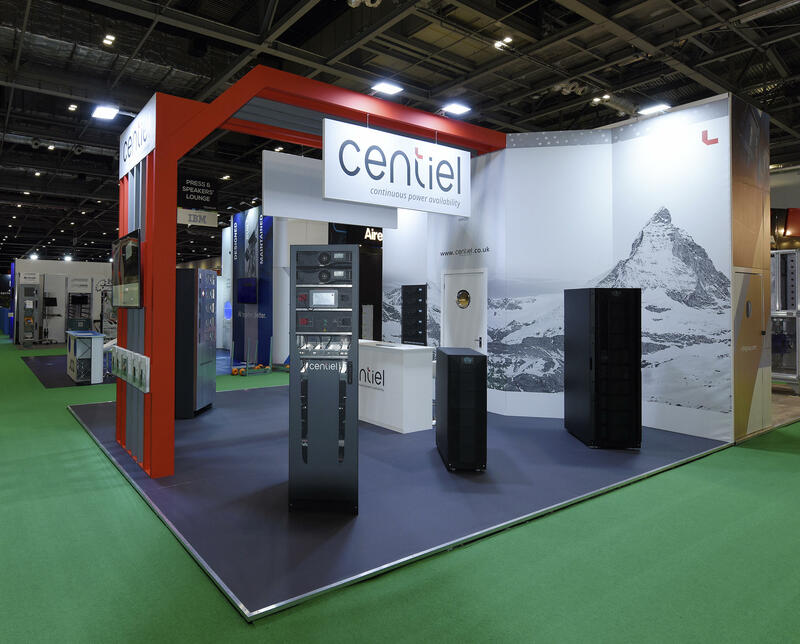 With growing concerns about reducing the carbon footprints of datacentres, being able to decrease and remove the electricity requirement for cooling could become an increasingly attractive and important consideration. Over time, we believe, there will be an inevitable shift towards Li-ion batteries in the UPS sector. Incorporating Li-ion will inevitably reduce the size and weight of UPS systems overall and the longer useful working life of Li-ion will mean fewer costly replacements. All of which will benefit customers with reductions in both CAPEX and OPEX and make Li-ion batteries a winning solution for UPS applications requiring compact, innovative protection.